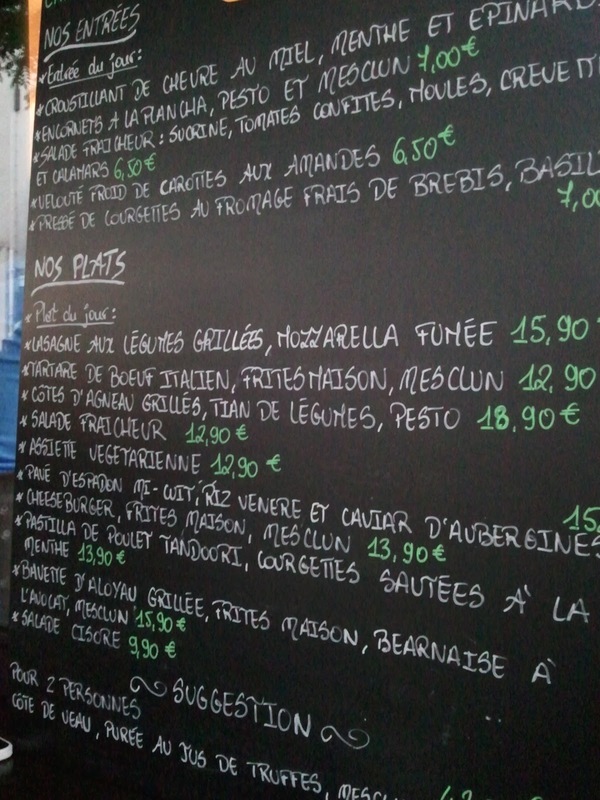 Bonjour mes amies! A challenge and Paris post in one! I call this killing two birds with one stone. Well, me and my two roommates went out to dinner at a cafe near our apartment on Friday night and it was amazing. It was this cute little place and we were able to sit outside and eat dinner for literally three hours. It was nice and relaxing and I could live like this forever. 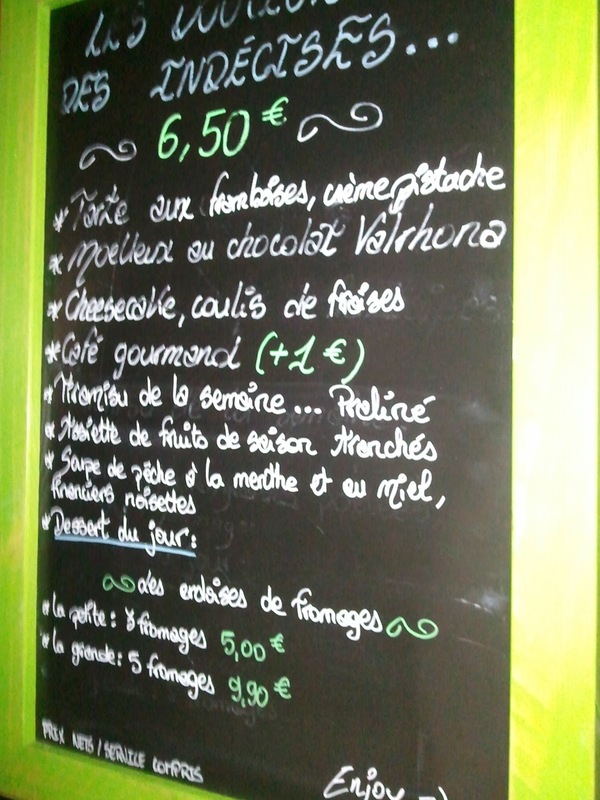 Here are the dinner menu and the dessert menu. Aren't they cute? Here was our little view. 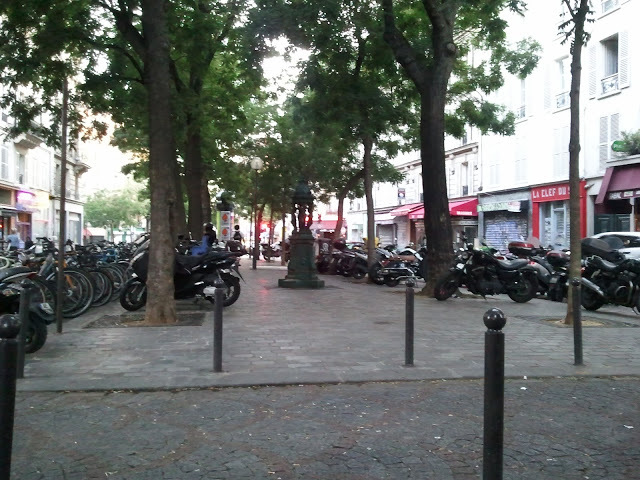 I love how they have these parks everywhere just for people to park their bikes. 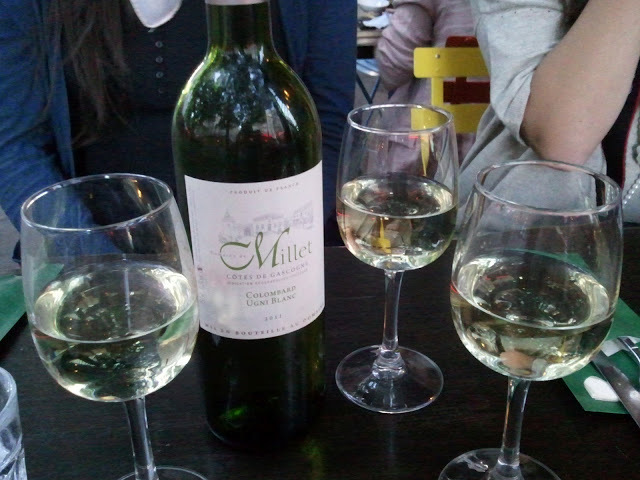 We meant to split a bottle between the three of us but me and one of my roommates ended up polishing it off by ourselves. Yes, I am a self-declared vino. 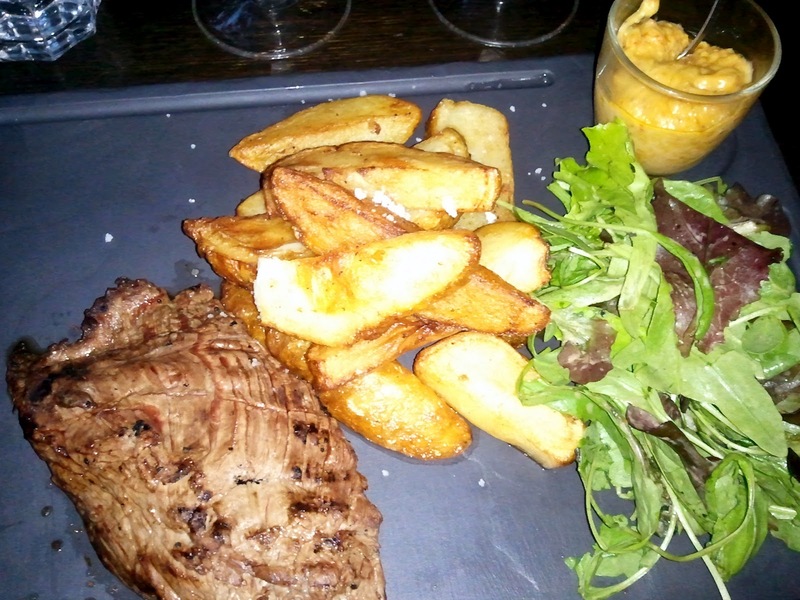 Bavette d'Aloyau Grillée, Frites Maison, Bearnaise à L'Avocat, Mesclun. My dinner! It was amazing. That sauce in the corner was to die for. Dessert! 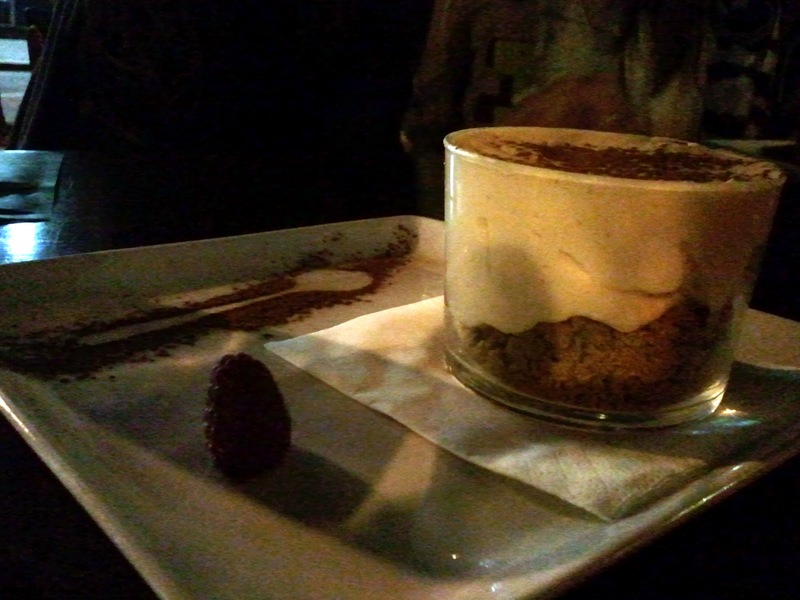 Tiramisu de la Semain...Preliné. It was so good and don't you like the shadow of the spoon surrounded by chocolate?! My roommates dessert. 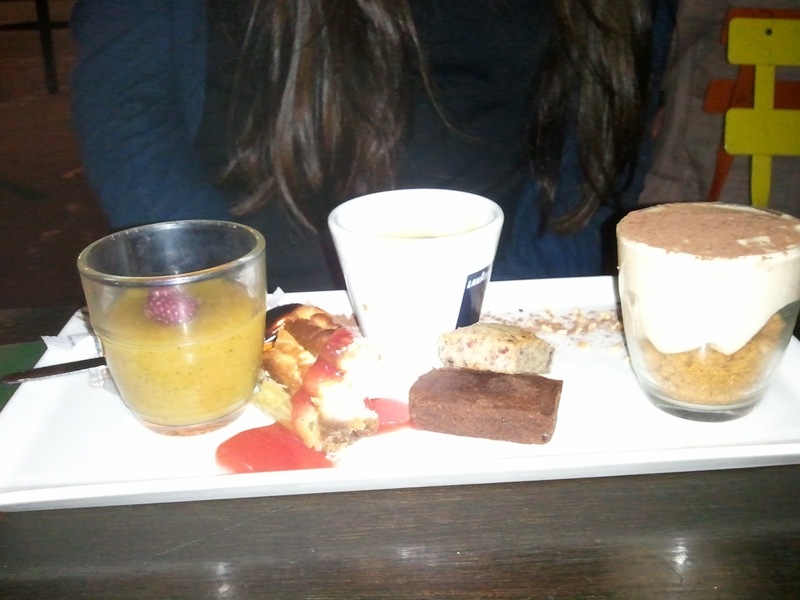 Café gourmand! It was basically a little bit of everything and a cappuccino. I'm not gonna lie, I was a bit jealous.